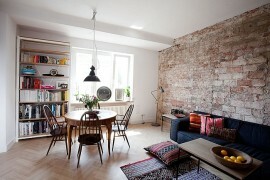 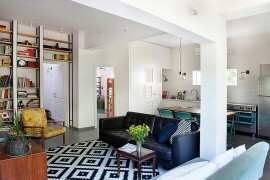 Designing and decorating small spaces can often be a hassle that demands plenty of care and attention. 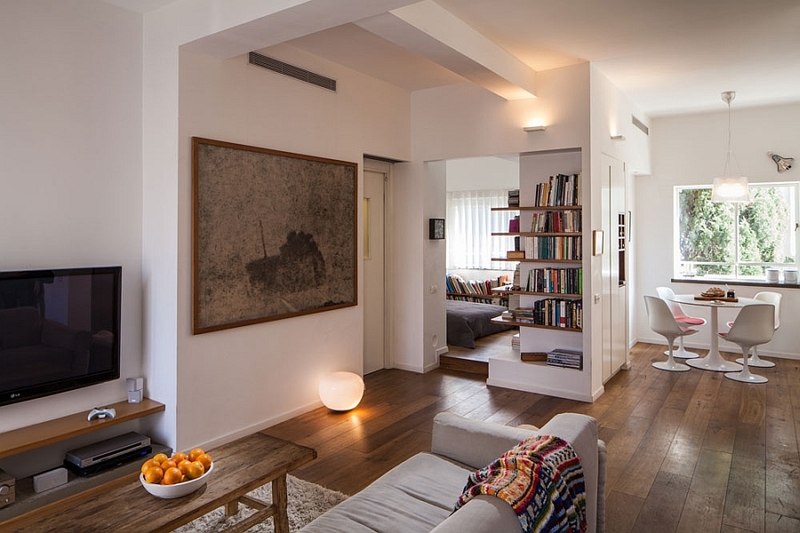 But with a hint of innovation and smart, space-conscious solutions you can transform even the tiniest of apartments into a luxurious little hub. 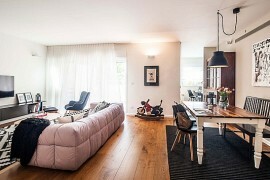 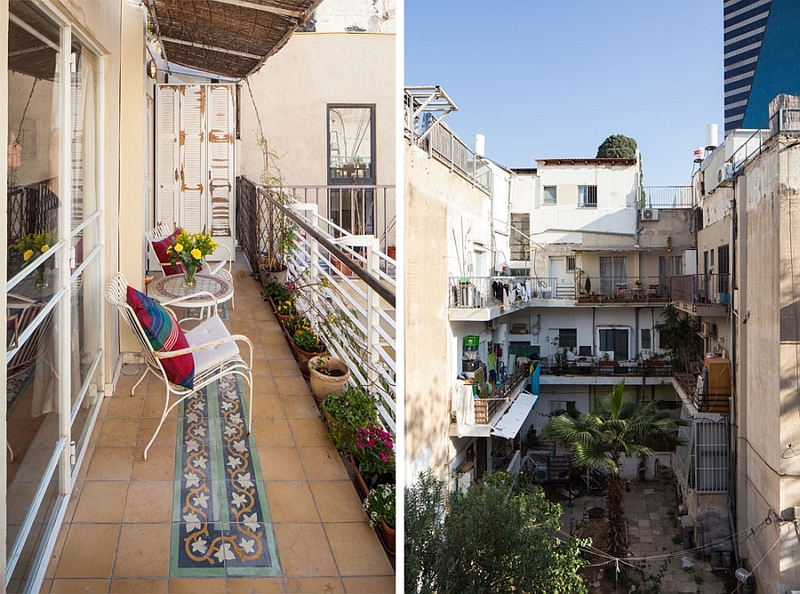 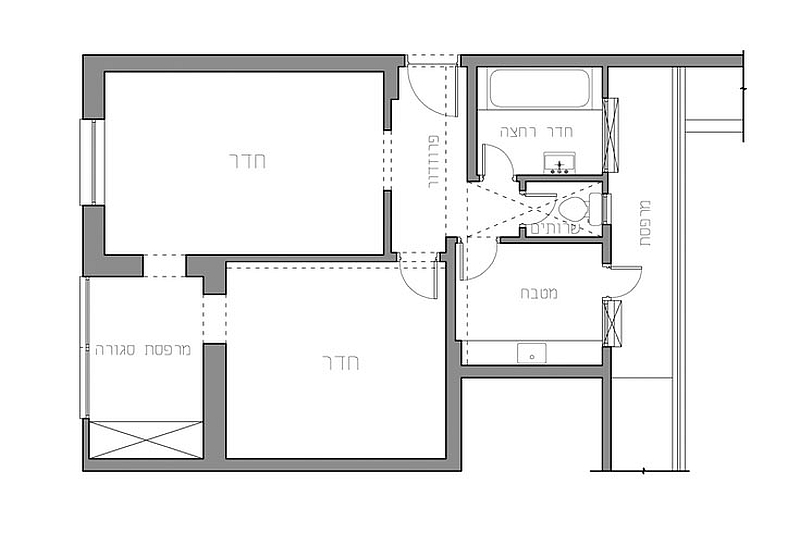 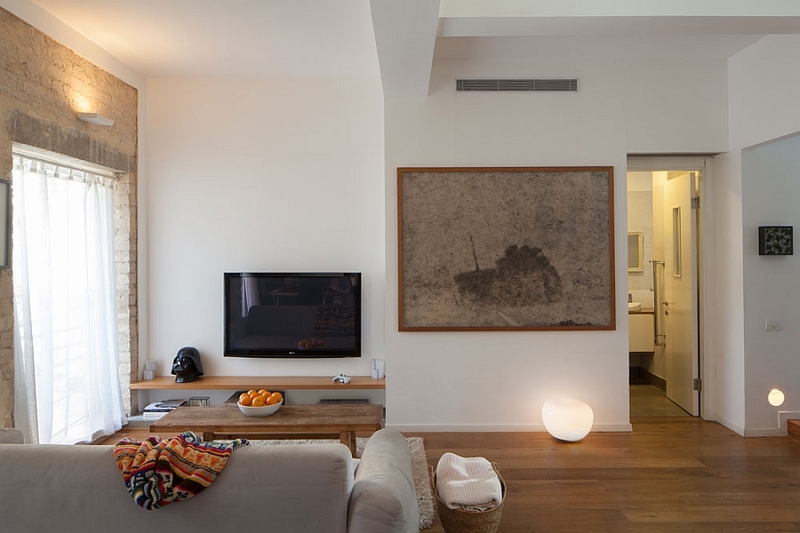 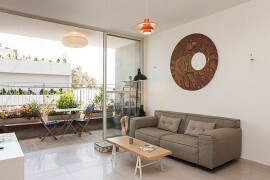 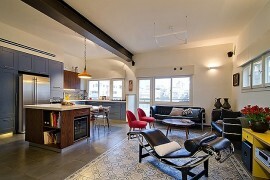 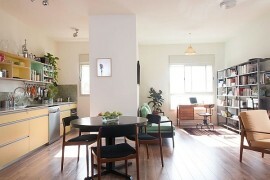 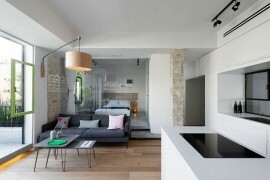 Located in Nachmani Street, Tel Aviv, this elegant little apartment occupies a space of just 50 square meters. 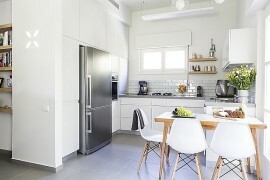 Revamped to suit the busy, urban life of a single guy in his 30s, architect Amichai Sharon has attempted to utilize every available inch while maintaining a pleasant and open floor plan. 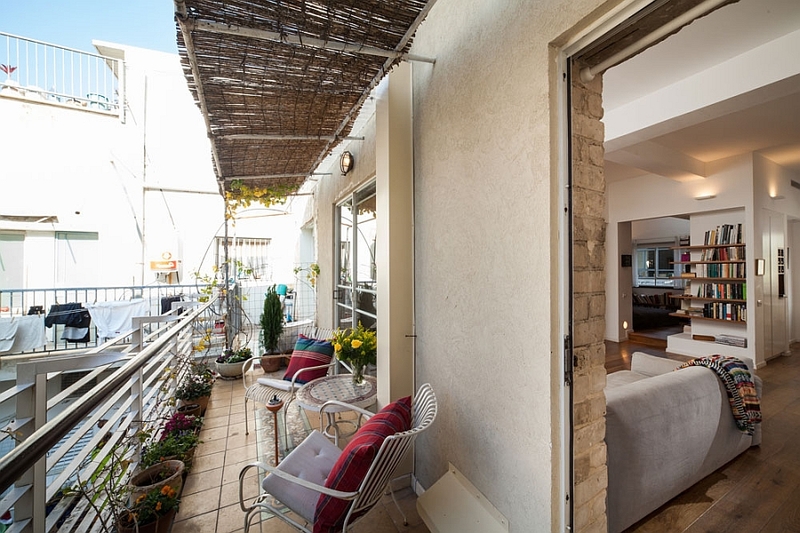 The compact living room of the apartment is connected with the small balcony outside, which offers a view of the central courtyard. 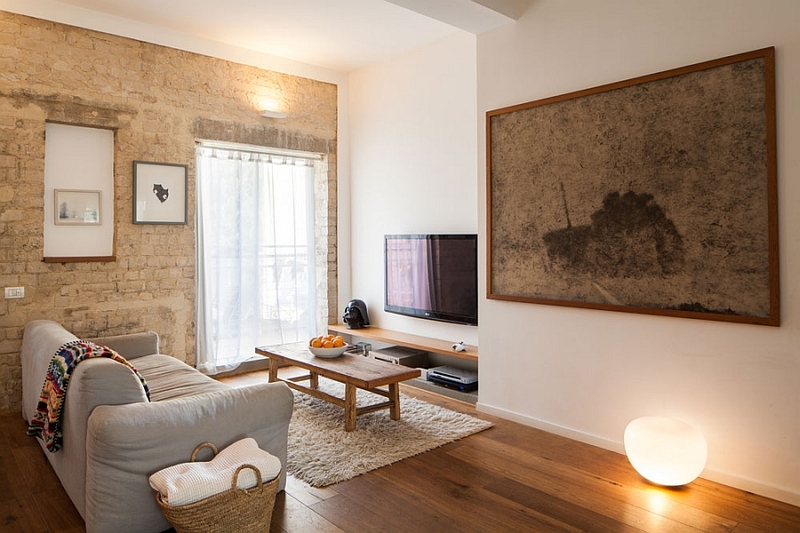 Providing ample natural ventilation, the balcony seems like a seamless extension of the living room and features a small couch in white, as well as a wall-mounted entertainment unit. 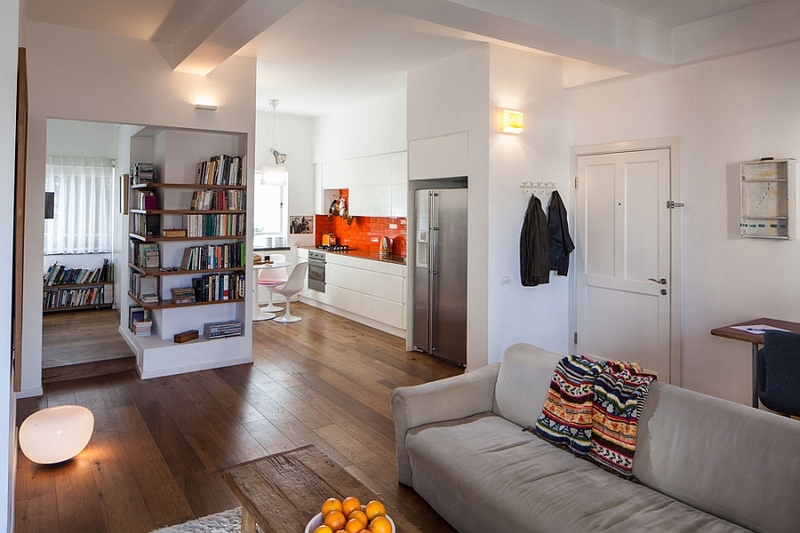 Beautiful hardwood floors complement the warm, neutral shades stylishly used inside the apartment, while the dining area and the kitchen usher in a hint of vibrant color. 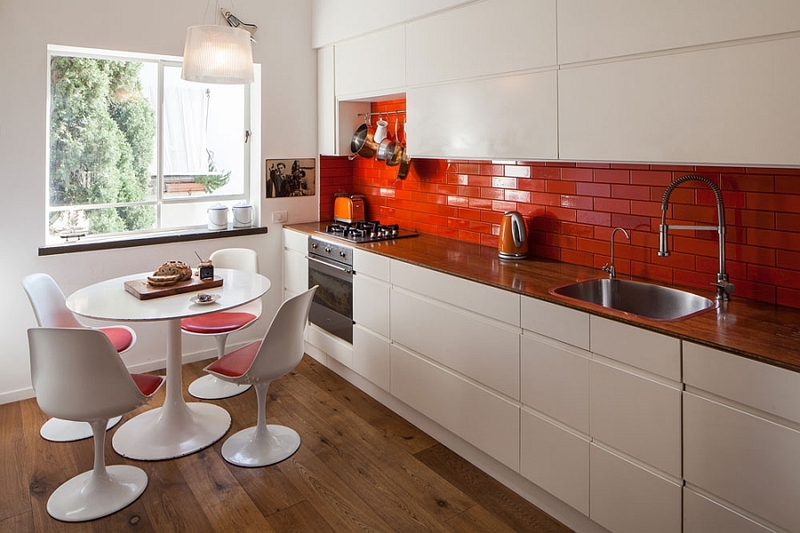 The exquisite Saarinen Tulip tables and chairs further help in saving up on precious leg room, while the bright orange backsplash in the kitchen enlivens the entire area. 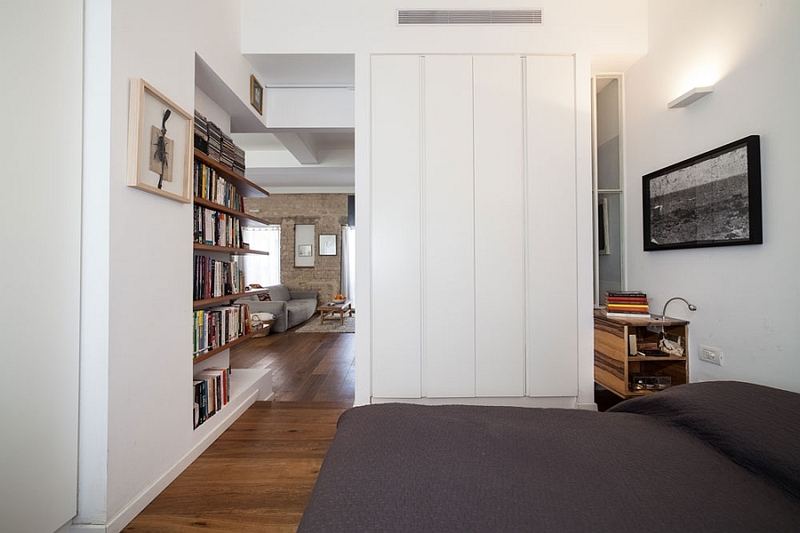 The bedroom embraces a similar inviting and cozy color palette, while pristine white walls help in reducing visual fragmentation of an already small home. 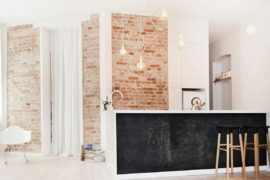 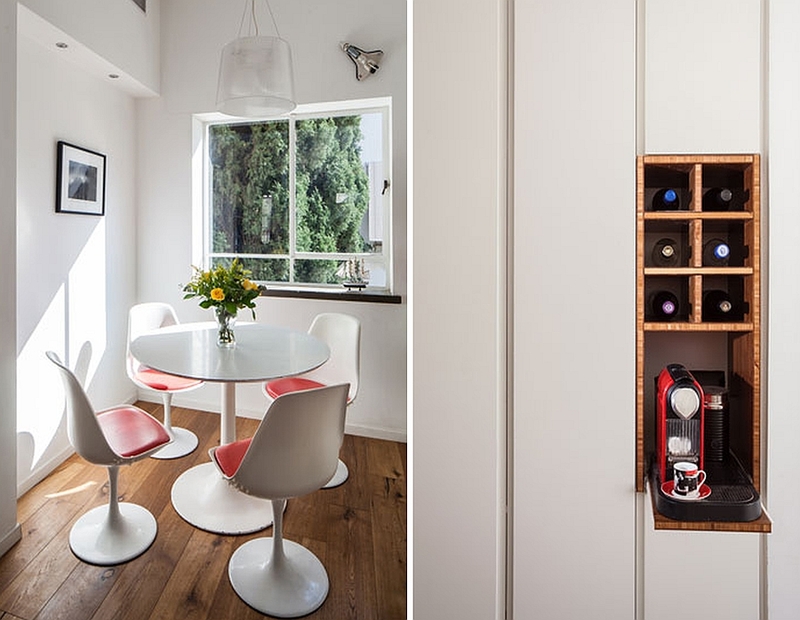 An exposed silicate brick wall in the living room and a contemporary wall dividing the kitchen and the bedroom with a washing machine, dryer unit, small library and plenty of cabinets help in giving this Israeli apartment its unique look. 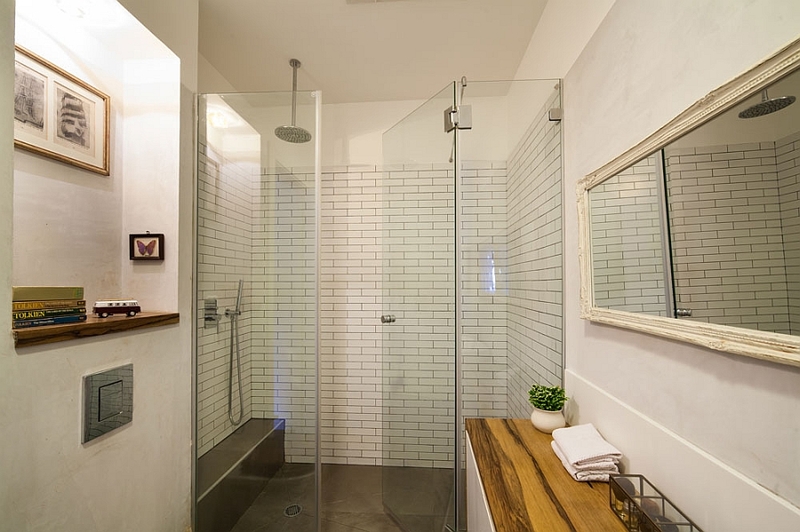 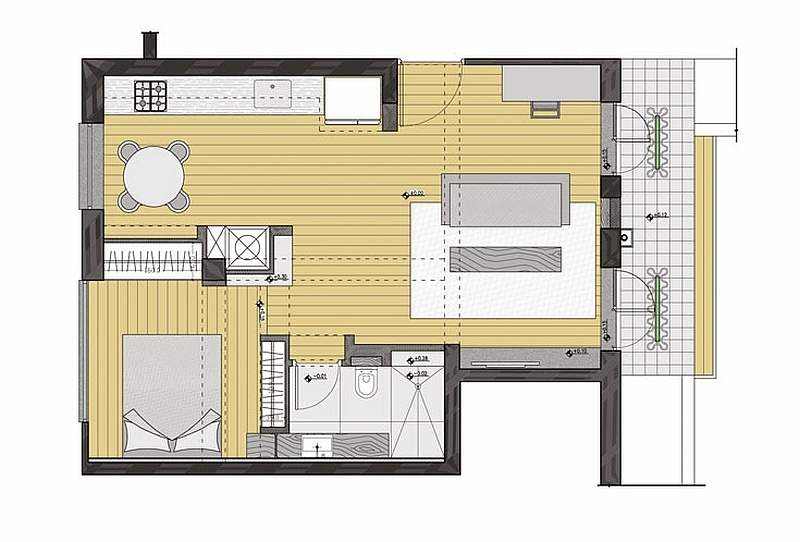 A bathroom with a generously large shower area completes this classy compact bachelor pad.